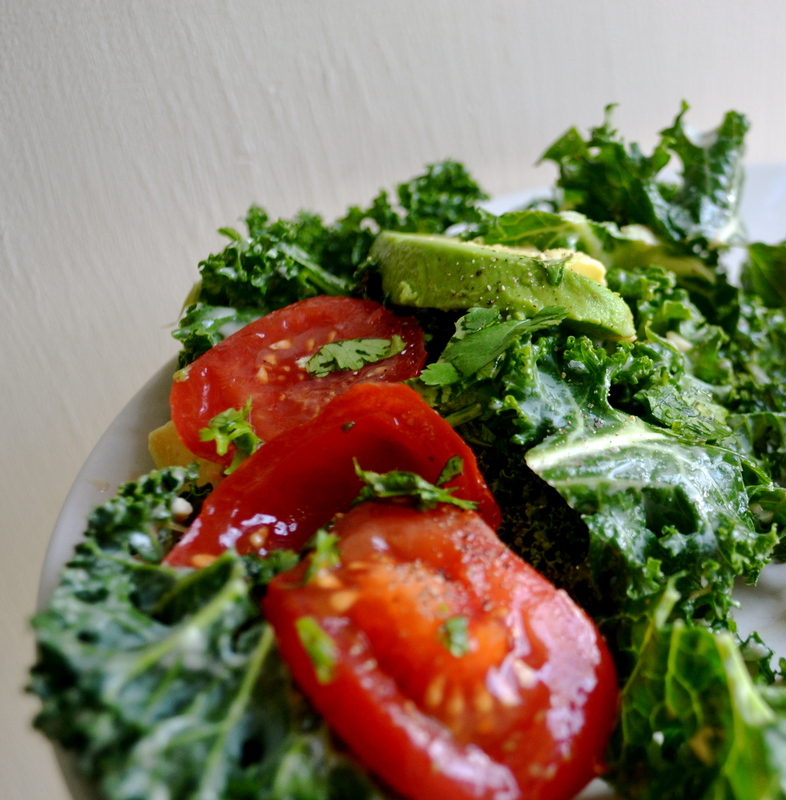 Lately, I can’t get enough of kale salad. It’s crunchy. It’s flavorful. It’s a party in the mouth. 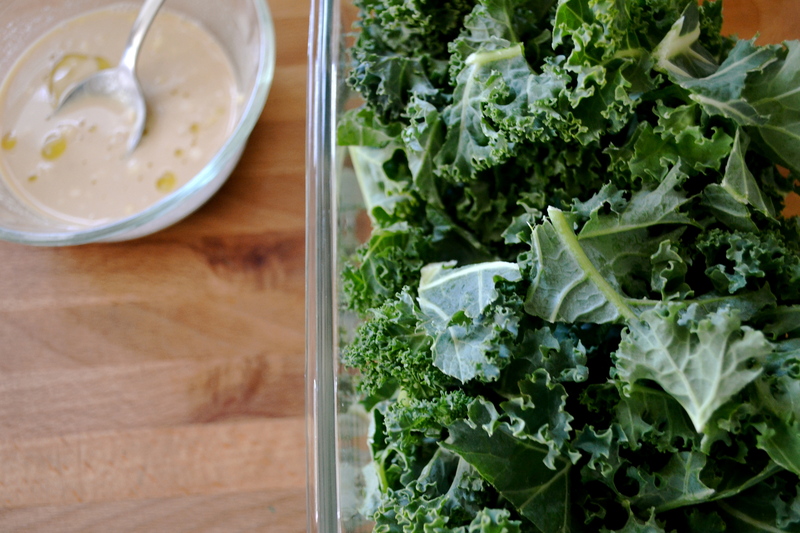 This kale salad is topped with an awesome tahini dressing. 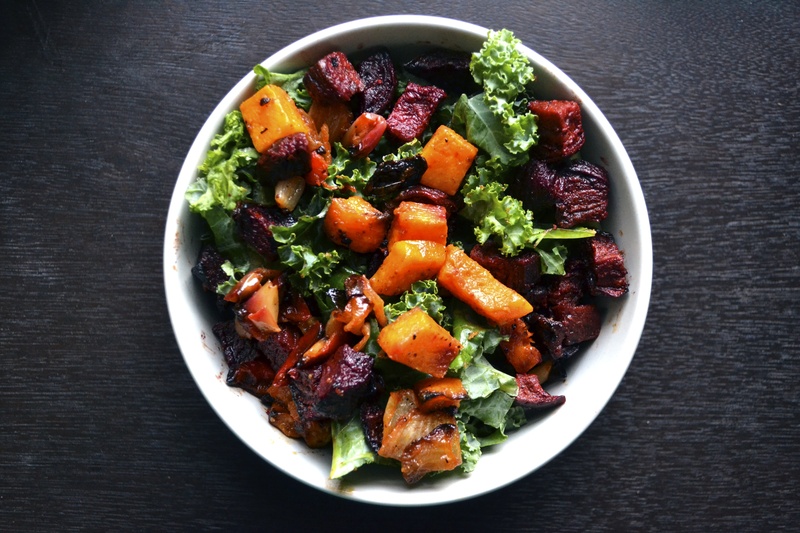 The recipe is based on a salad that is featured at the Whole Foods salad bar. A friend shared their recipe with me and I have made this salad for three nights in a row now. 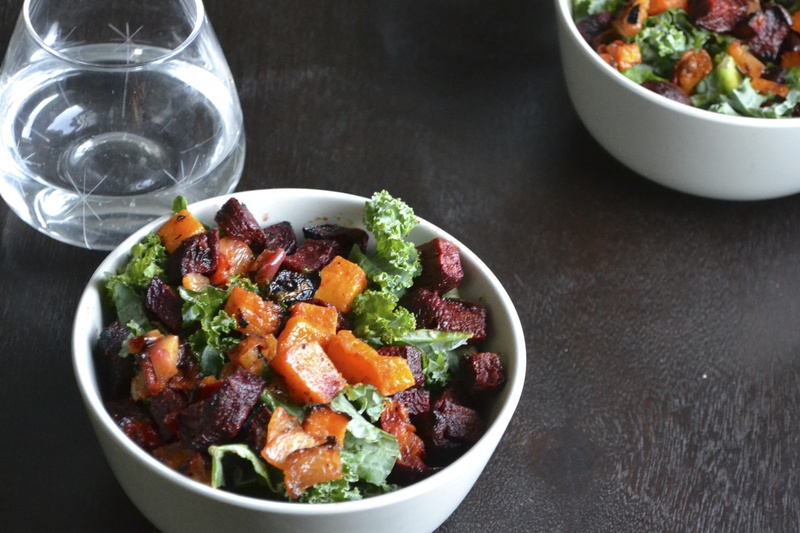 And may or may not have licked the bowl….and dreamed about this salad….and then ate it at midnight. OK, I have a problem. I know. Don’t judge. 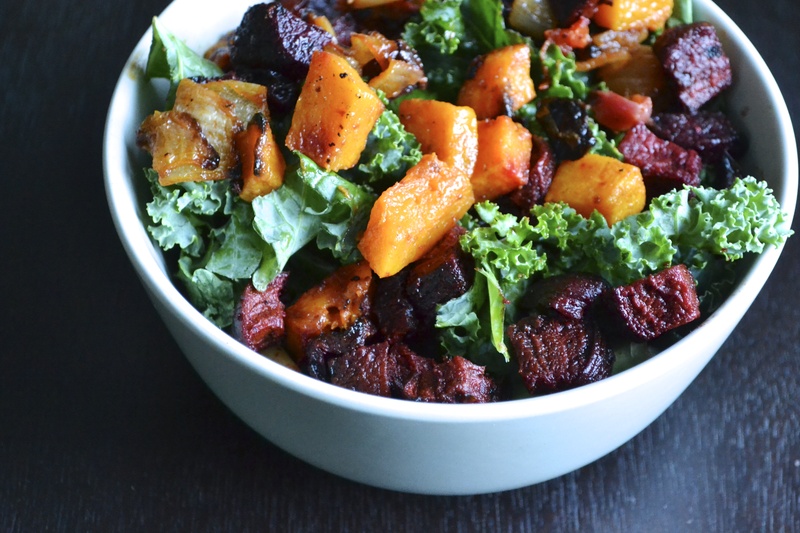 This salad will totally make up for the fact that I also hoovered a rack of ribs, right? 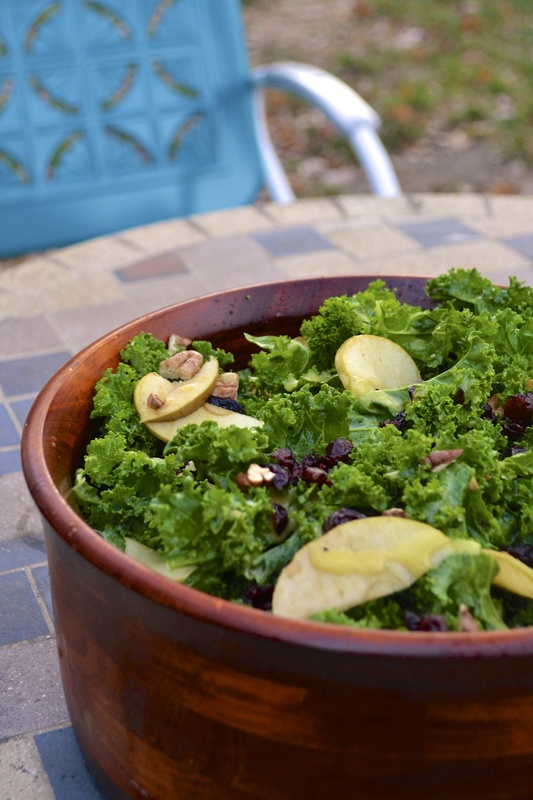 If you can, mix the kale and the dressing together and allow to sit for an hour or two before serving. 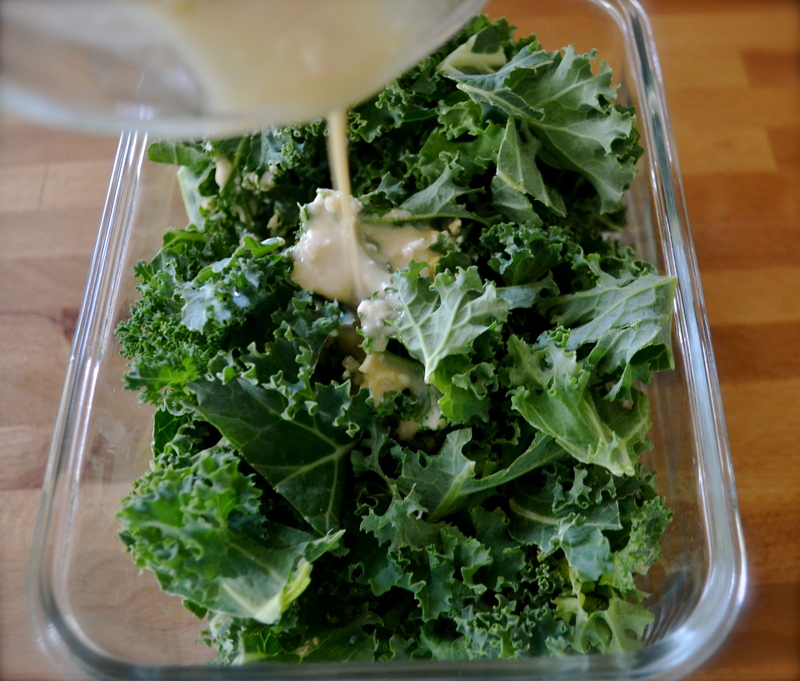 Wash and remove center ribs from kale. Tear into pieces and place in a large bowl. In a small bowl, add tahini paste through olive oil. Mix until well blended. 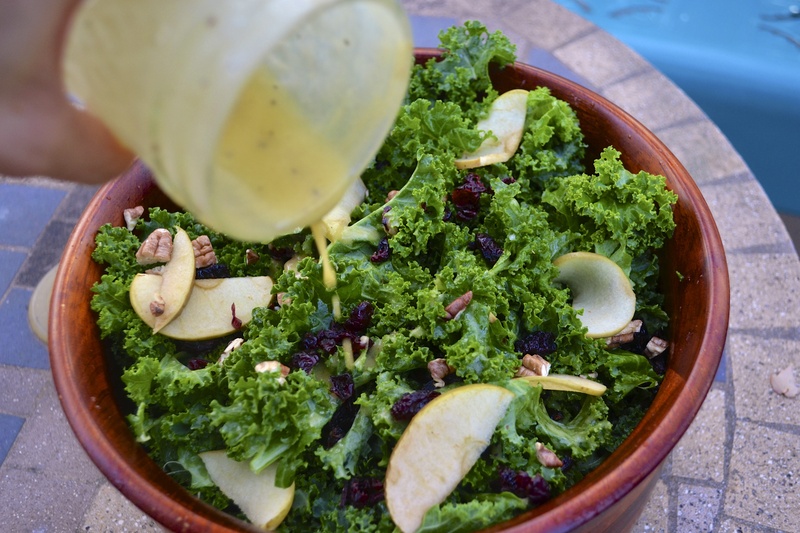 Pour dressing over kale and massage into kale. Let sit for at least 30 minutes and up to 3 hours. Mix before serving. Sprinkle cilantro on top. 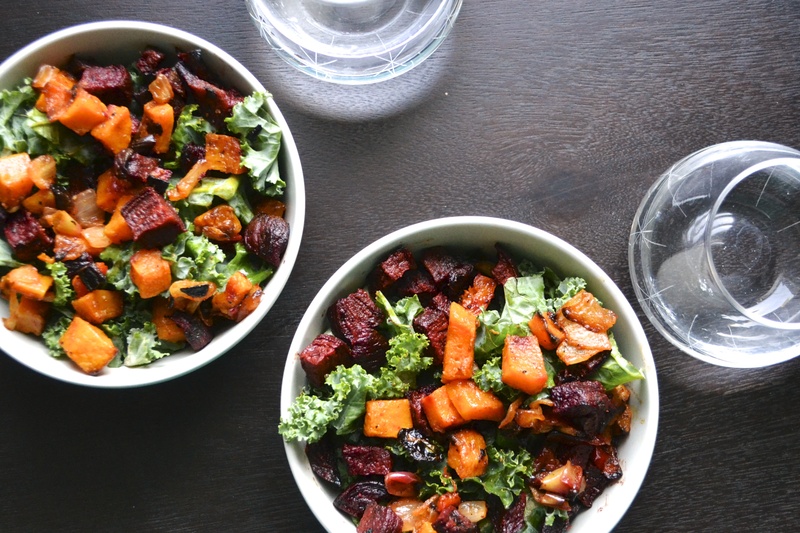 Eating this with an avocado on the side makes a perfect lunch.